STEPHANIE Moloney may not have plans to become a future business leader but the commerce graduate is already making a name for herself in the business industry. The Deakin graduate is the only person from the Warrnambool campus to win the prestigious Alfred Deakin medal. Awarded to Deakin’s eight most outstanding undergraduate students graduating each year, the medial is in honour of Alfred Deakin, Australia’s second prime minister. It recognises their academic and community achievements. 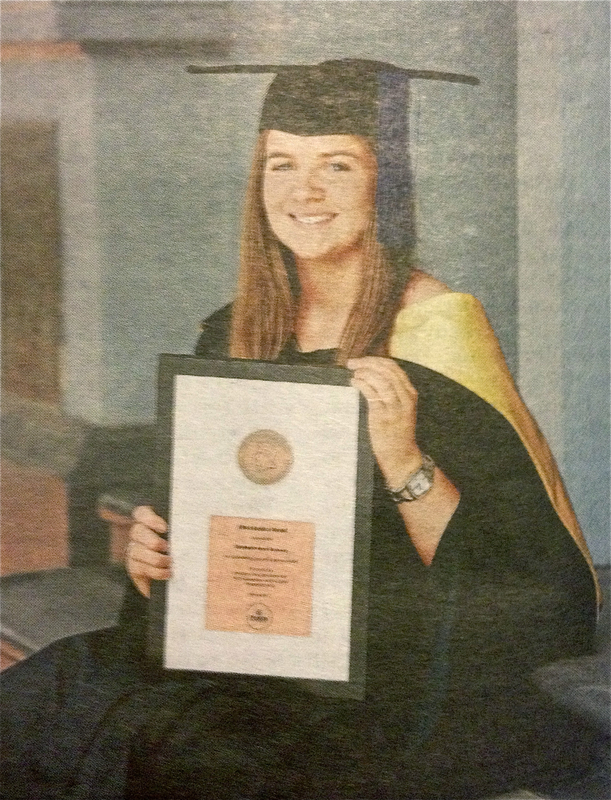 The 22-year-old from Southern Cross, who graduated yesterday with a bachelor of commerce with a distinction, said the award came as a surprise. “I honestly wasn’t expecting to win,” she said. She majored in human resource management, marketing and management. Ms Moloney’s involvement with the Deakin community included being a peer tutor and introducing first year students to university on campus during orientation. “I really encourage future students to get involved with university activities because it helps develop communication skills and relationships with people,” she said. Ms Moloney also won a $4000 scholarship from Warrnambool Cheese and Butter in 2012, where she started her position as a logistics co-ordinator late last year. The Warrnambool campus graduate said she was excited to see where her degree and future would lead and thanked her lecturers and family for support.